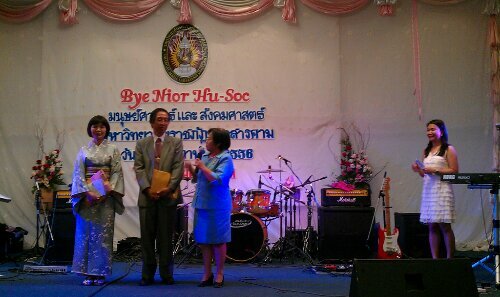 The uniquely Thai combination of “goodbye” and “seniors.” I’m at a farewell party for our graduating class. Re: the woman on the far left: is that a Thai style of dress? Nah, that’s a kimono, as you suspected. Next PostNext Danger: Electric Snakes!